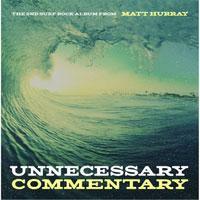 This rocking album lands in the surf guitar territory. It's a strong set of particular interest to fans of groups like The Ventures. This disc is instrumental and quite entertaining. I love the surf guitar melodies on this number. The more modern elements to the backdrop creates an intriguing blend of sounds. The basic concept here is similar, but this is perhaps closer to the old school surf music concepts. Now, the sounds that open this are clearly tied to both fusion and prog music. The song takes on more of an electronic element as it moves forward, but it really does have a lot of fusion built into it. Starting with a mellower section, this works out to some great music from there. A bit higher energy and rocking, this is definitely closer to the kind of stuff The Ventures always did. That said, there is a bit of a modern edge here. Additionally there are some bits of progginess to be found. Now, this clearly lands more in the vein of pure Ventures type music. There is a healthy dosage of country sound in this number. It's another classy piece of music for sure. A mellower piece, this has a great flow to it. There is definitely some jazz built into this piece. I love the flow and groove of this piece of music. Somehow this makes me think of the music to "The Munsters" a bit, but mixed with more Ventures. I think this is one of my favorites here. There is a cool Hawaiian vibe to this number. Yet it has a mainstream rock element, too. It's another strong piece on a disc that's full of strong music. Now, this one really feels like The Ventures. It's high energy and very classy stuff. Another driving rocker, this is solid. It's also not really "samey." This really does feel like "Chllin'." It has a real jazzy element to it. It's a tasteful number that's quite effective. Although there are no huge changes here, this is another strong cut. I dig this musical groove quite a bit. Here we get more of a high energy tune. I love the guitar soloing on this one. It really takes me back to the days of The Ventures. The closer is a fun, energized surf rocker that works well.